Recently, Maruri, No. car maker in country, has unvield its latest Ritz car engine. 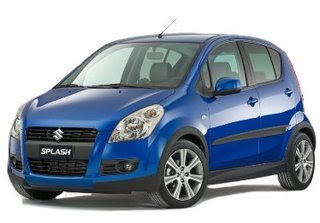 After the grand success of Maruti A-star, The comapny has great expectations with Maruti Ritz. The car will be a small car which may be launch in the month of may in the current year. This new car is powered by new K12M engine which is the next generation of its KB series engine. This engine was used in Maruti A-star recently. This new engine will produce 85PS power at 6000rpm and 113Nm torque at 4500rpm. Maruti Ritz would be most powerful car in its segment. The engine is quite light which reduce its loss to its apex. Apart from all quality, this engine is BS-IV compliant which makes this car more fuel efficient as well as envoirnmental freiendly. ritz gave Very good mileage.. Great looks.. this is the most stylish looking car made in India till date.Front seating is very comfortable & spacious. Getting into & out of the vehicle is very easy(for elder people also).